2016 has been a tumultuous year, with truly once in a lifetime events, some tragic, some uplifting, some comical, others wretched. Perhaps these thoughts are prevalent most years, but many people will be happy to put 2016 behind and hope 2017 will signal a turnaround to better things. This has been experienced the world over, but in this article we will concentrate only on events that have most affected Pattaya and the Eastern Seaboard. Photo courtesy Bureau of the Royal Household. 1.Top of the list has to be the sorrowful passing of the world’s longest reigning monarch, His Majesty King Bhumibol Adulyadej on October 13, who lived until the age of 88. HM the King passed away peacefully at Bangkok’s Siriraj Hospital at 3:52pm Thursday 13th of October with the entire Royal family by his side. 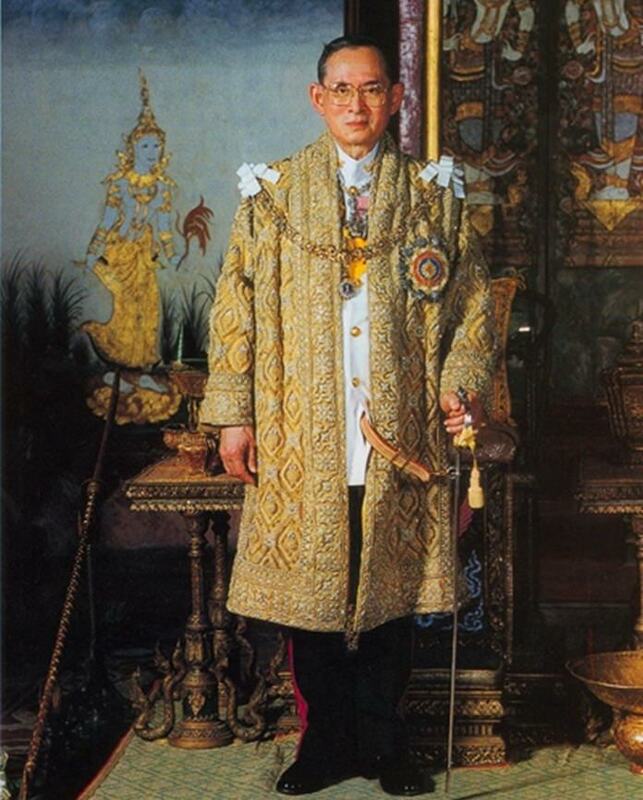 HM King Bhumibol Adulyadej ascended to the throne in 1946 and is highly revered here in Thailand and around the world. He anchored our country through violent upheavals at home and communist revolutions next door with a blend of majesty and a common touch. His Majesty has been our inspiration of love and hope for the past 70 years, and we wish him a most peaceful journey into the next realm. 2. At times, tragedy eventually leads to elation, as it did on December 2. 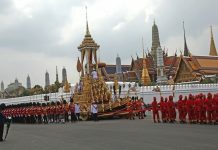 This is not to imply in any way that anyone, in any shape or form received joy from HM the late King’s passing, but on December 2 Thailand received a new King when HRH Crown Prince Vajira­longkorn formally took the throne to succeed his much-revered late father, who reigned for 70 years. 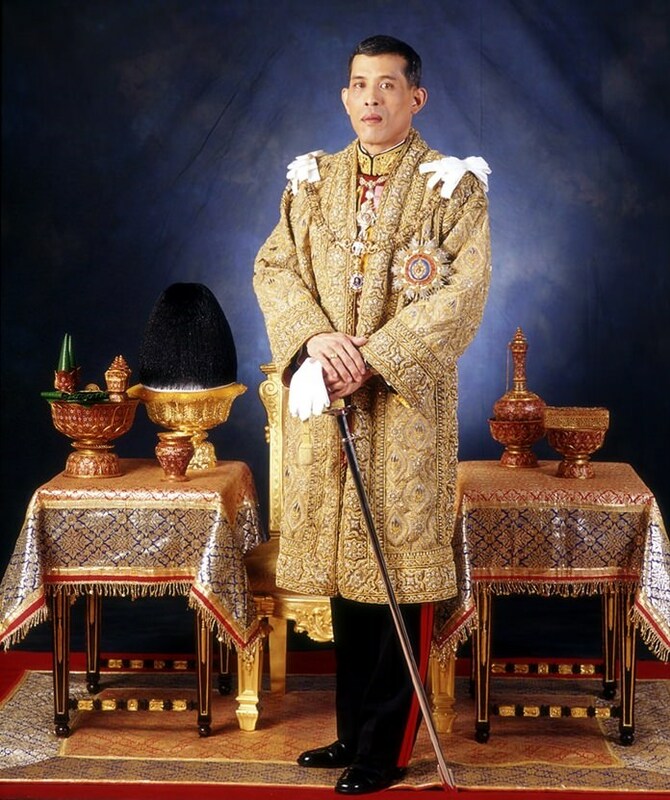 The new monarch received the title “His Majesty King Maha Vajiralongkorn Bodindradebayava­rangkun”. 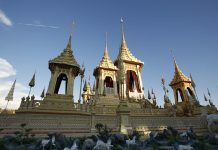 He will also be known as Rama X, the tenth king in the Chakri dynasty that was founded in 1782. “I would like to accept in order to fulfill his majesty’s wishes and for the benefit of all Thais,” HM King Vajiralongkorn said. 3. The third most important story of 2016 also had to do with HM the late King’s passing, when on November 19 more than 100,000 Thais and foreigners from near and far shed tears and paid last respects to HM the late King along Pattaya Beach Road, Central Road, Pattaya Bay, and all nearby side sois in the largest memorial held outside Bangkok for the late monarch. 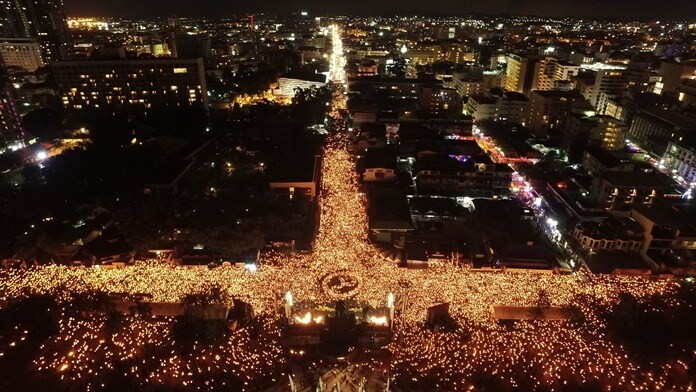 The “76 Million Hearts Mourn Our Father” event drew people from both government and the private sector, rich and poor, Thai and foreign. 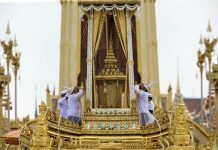 They all sang, lit candles and cried over the October 13 passing of the only King most Thais have ever known. Sukanya and Winston Gale arrive in true Hollywood style. 4. Finally, some good news to report, when in February the Riviera Group’s multi-billion baht project received EIA approval and clinched financial backing to once again breathe life into Pattaya’s real estate sector. Riviera Group celebrated the event by throwing a huge party for 1,000 of their closest friends, one of whom won a Mercedes-Benz SLK in the lucky draw. The event was proof that for Riviera Group, business is going well, with the project on course for completion in 2018. A dangerous looking group indeed. 5. From the sublime to the bizarre – Also in February, local residents on Thappraya Road in South Pattaya thought they were watching a scene from a crime movie when over 50 officers, which included the military, police from Pattaya and Banglamung, and members of the excise department, raided a second floor rented room above Altos restaurant. 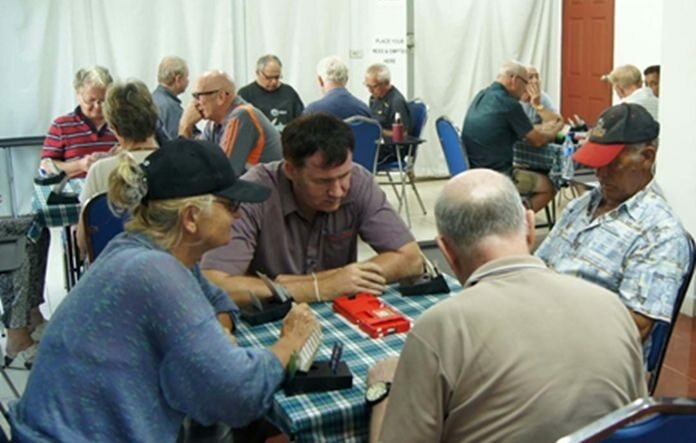 Acting on a tip-off, the authorities rounded up 26 men and 6 women all of whom were foreign nationals, all over 60 years old, caught in the act of playing Bridge. Certainly a heroic act on the part of the arresting officers, all 50 of them, who arrested 32 old age pensioners, some in their 70s and 80s. 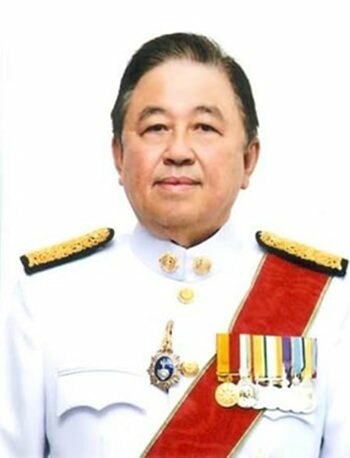 Former Senator Sutham Phanthusak 28 August 1947 –18 May 2016. 6. On another sad note, Former Senator Sutham Phanthusak, one of Pattaya’s most respected entrepreneurs died peacefully at Chulalongkorn Hospital in Bangkok on May 18 after battling a lung infection. He was 69 years old. Sutham was known to some as a successful hotelier with Woodlands Hotel & Resort, to others he was the creator of the world famous Tiffany theatre; he was also a devoted Scout, a Rotarian, and a Senator, but perhaps most of all, he will be best remembered as modest man and a man who loved Pattaya and the Kingdom of Thailand. 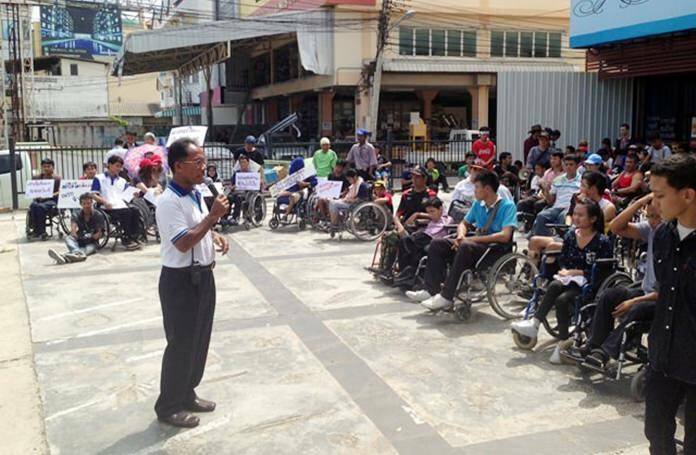 Hundreds of disabled students and residents of four Pattaya communities on May 27 demanded city officials inform them when a long-delayed wheelchair-accessible pedestrian bridge over Sukhumvit Road will be finished. 7. Number 7 on our list is the ongoing saga of the on again off again talks of constructing a wheelchair friendly pedestrian bridge over Sukhumvit Road near the new tunnel. This year, the project, which was first proposed in 2011, was set to get underway in January, but a lawsuit filed by a nearby pawnshop became the latest delay. The business owners claimed if the bridge was built in the designated area, nefarious people could stand on the bridge and peer into the pawnshop picking out possible targets for robbery or theft. They lost the court battle, and the construction is once again scheduled to begin with an estimated completion date in April. Don’t hold your breath. 8.While we’re on the subject of the new tunnel, it finally did open earlier this month, with the first cars being allowed to pass through. But for only 4 hours while construction at street level blocked normal traffic. 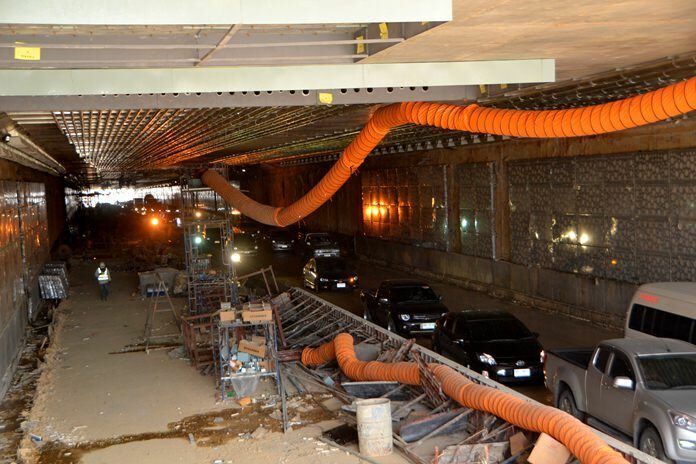 The 900-million-baht tunnel is not complete and will not open for normal operation until at least February. But a few lucky drivers got to see first-hand how far work has progressed for four hours Dec. 6. This trial run by fire didn’t exactly go as planned, however. Just moments after the underground bypass was opened, a six-wheeled truck broke down and caused a huge backup until it was moved out of traffic. Once packed full with trailered boats, the last few were taken away in November. 9. When the men protecting our shores from all evil, both domestic and foreign, began governing the kingdom, they started sweeping up some of the questionable buildings approved by previous governments, and Bali Hai became a target. First Bali Hai Plaza was demolished for encroachment in June, then the tourist boats that had taken over the parking areas were kicked out, and the boat ramp was destroyed. 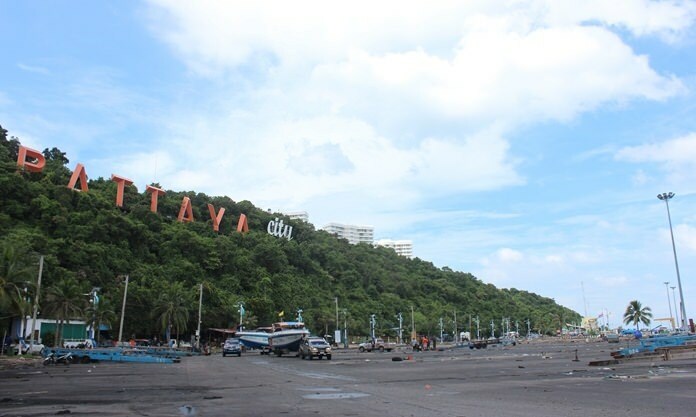 The parking area at Bali Hai is once again free of the dozens of boats that had taken up permanent residence, but the streets are a bit more crowded with boats being trailered to and from the launch sites in Jomtien. Here’s to a much happier, healthier and more prosperous 2017 to one and all! 10. Finally, a story matching athletics with, well, skin. In August the first Pattaya Bikini Run busted out across Pattaya Beach and nearby sois. There were plenty of bare mid-drifts, but the focus was supposedly on the feet. The race was intended to drive tourism by putting lots of skin on display while promoting exercise as well.